How to toggle the status of a Transport Request? DON’T USE THESE UNLESS ABSOLUTELY NEEDED!!! The purpose of transport request is to organize and move development objects from one server (say development) to other server. But sometime due to conflict in timing of different releases, we may need to move objects from one transport to other transport to release lock / dependency / to avoid transport failure due to missing object. It’s not very easy task always, especially if the Transports are complex and contain multiple components. Things get more difficult if objects are locked in one transport or the transport is partially released (few tasks are released and locked object is inside that task). These off hand tips will help developer to manipulate transport request if complex situation arises. These methods are not very advisable as this may lead to transport inconsistency if not done properly or with proper understanding of the consequences. Here is a transport request where one of the tasks is already released. Though for this example it is an empty transport. This report will show the details regarding the transport request. Now double click on the task / Transport request if you want to change the status. Click on change. Change the value of the status and save it. As you can see, you can change any of the attribute of the transport request / task. 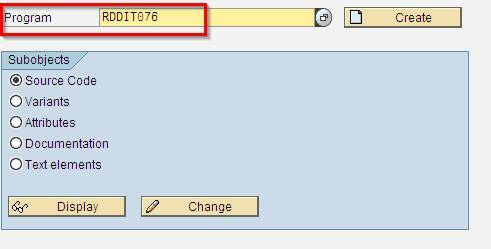 With this method, the program directly updates the necessary SAP tables.